Building gaming PCs is a fun hobby. Not everyday do you get to build the really high-end machines though. But when the opportunity presents itself, it just makes the whole process even more enjoyable. This particular system has been specced specifically towards providing the best gaming experience possible at 4K resolution. Nevertheless, efforts have also been made to ensure that it's a powerful all-around system even for professional work like 3D modeling, video or photo editing. As with all projects, the budget is a limiting factor so only products from the consumer market were chosen for the build. Being a very high end build, it would only be right to choose a special case for the system. 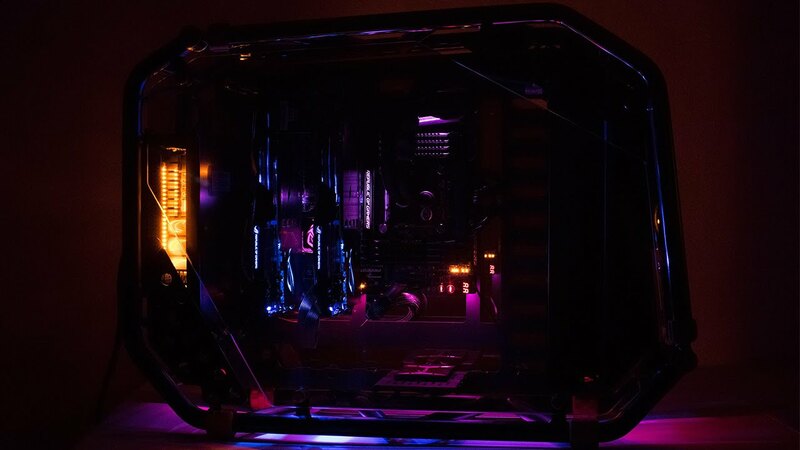 In Win is notorious for producing gorgeous computer cases so it was obvious where one needs to look. 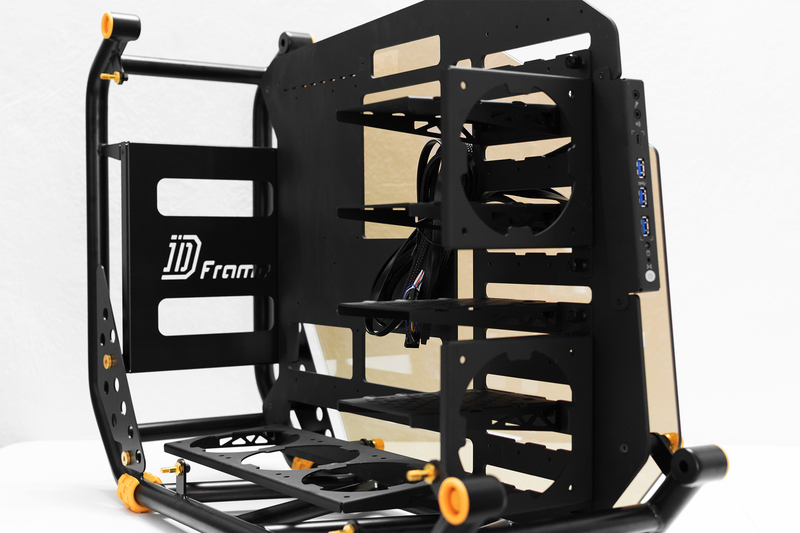 After a few considerations, the D-Frame 2.0 was chosen to house all the components for the build. The choice wasn't hard to make considering it was kind of like love at first sight. 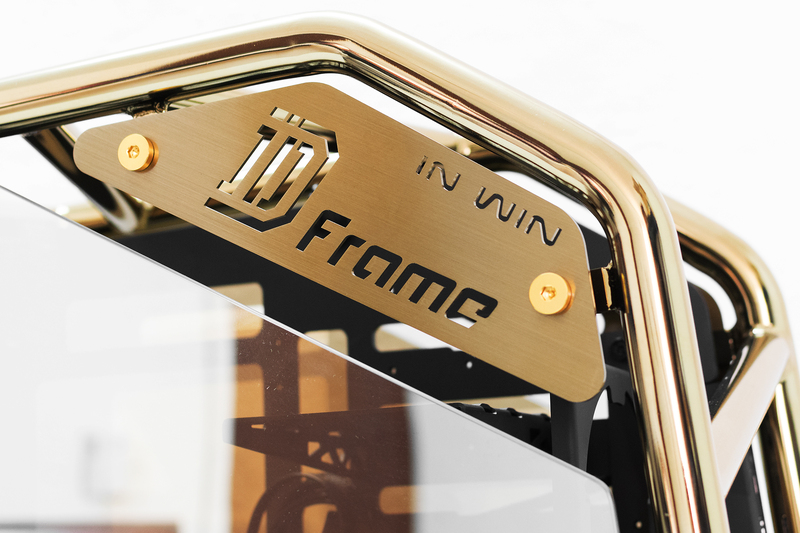 The D-Frame 2.0 is a very eye-catching case that brings this unparalleled uniqueness to the table. 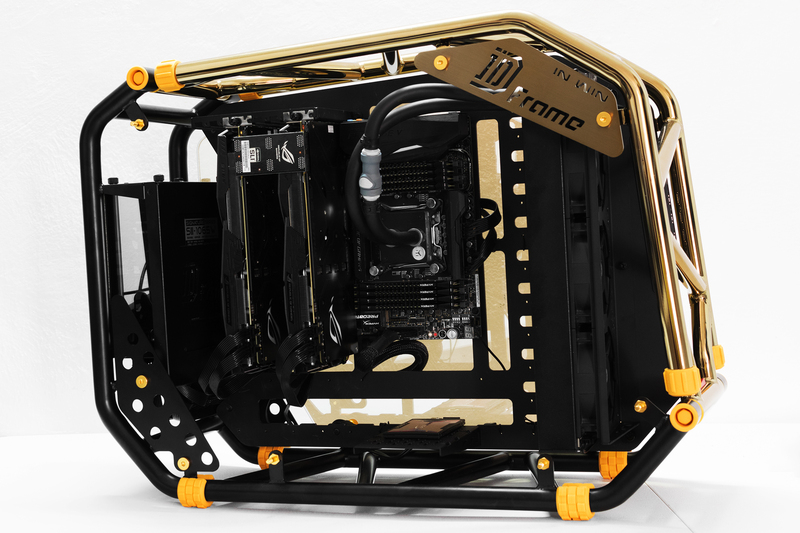 The black and gold platinum theme and the tempered glass side panels definately give the case a luxurious feeling to it. A nice looking gold plaque with the D-Frame logo in the top right of the case helps add some extra bling. 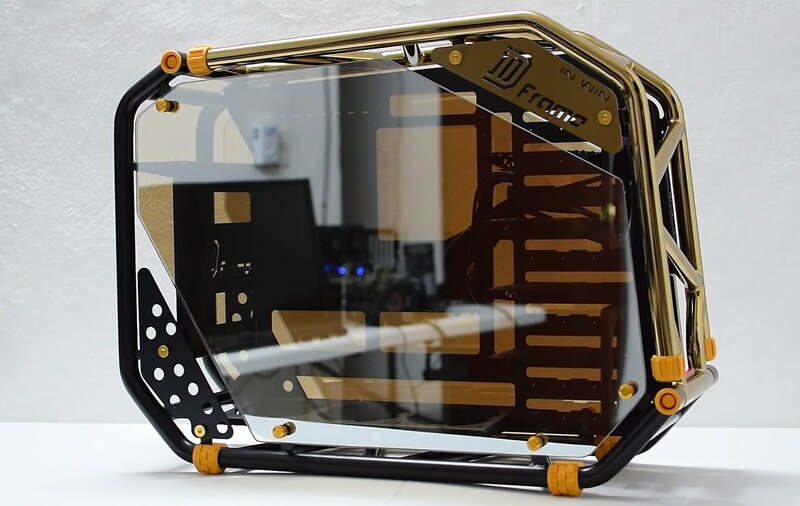 The tempered glass side panel is secured to the case using four special edition 30th Anniversary thumbscrews. 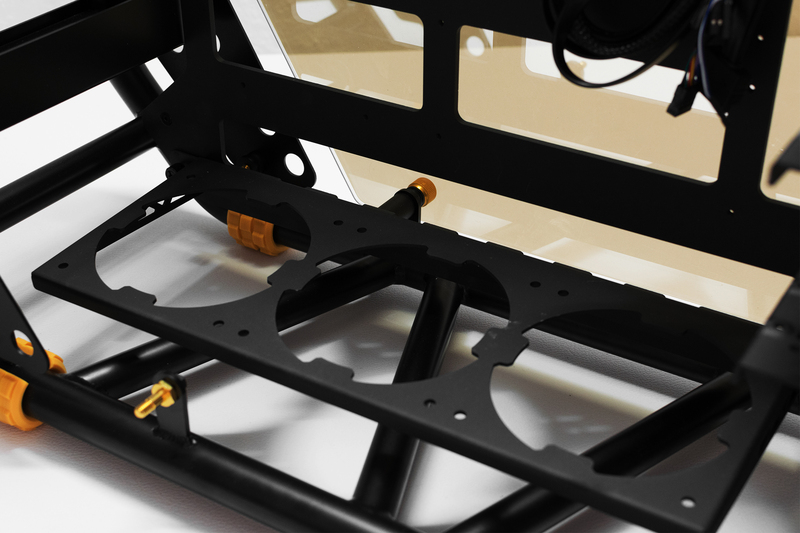 The four rubber feet protects the case and prevent it from sliding around the desk during assembly of the system. 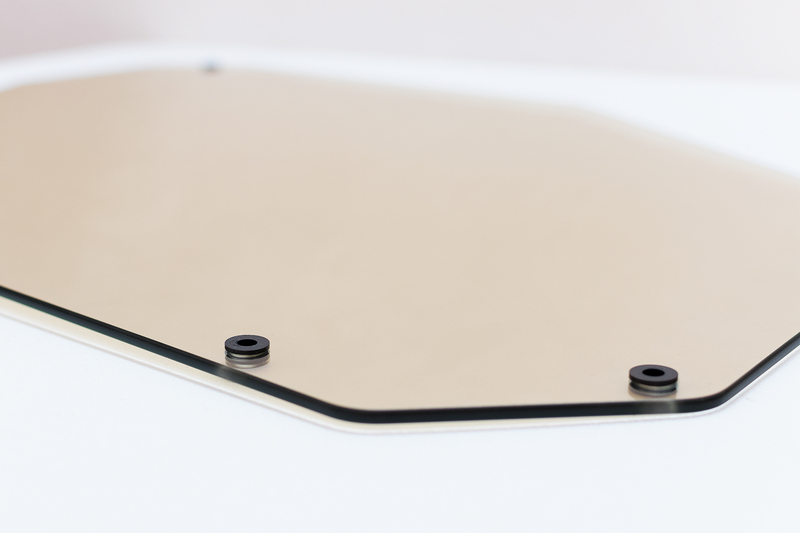 The gold tinted tempered glass side panel is pretty thick and very resistant to scratches. In Win is considerate enough to include a big microfiber cleaning cloth to polish the side panel. 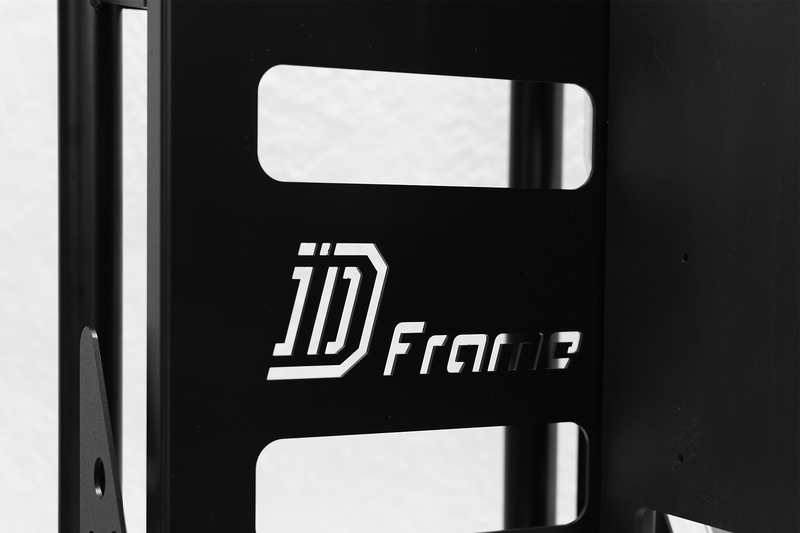 The D-Frame 2.0 comes with four multifunctional brackets for mounting up to 4 SSDs or HDDs. 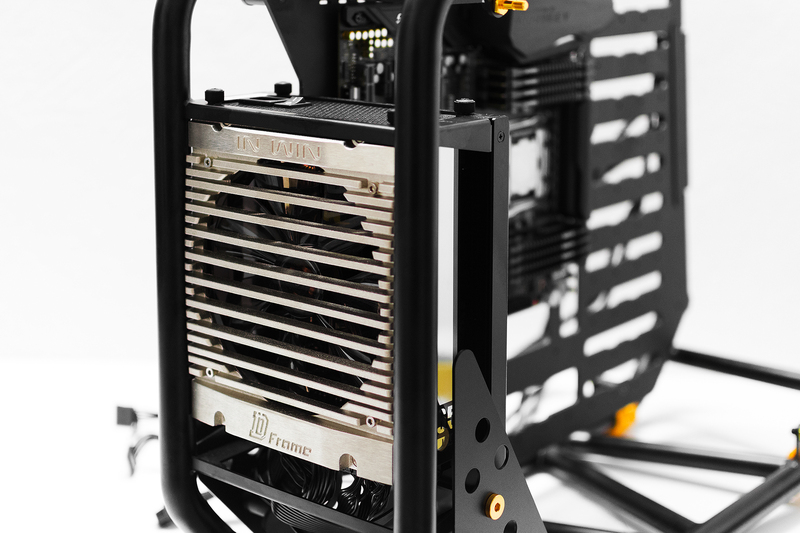 In regards to cooling, In Win provides two 120mm fan brackets and a 360mm radiator bracket. 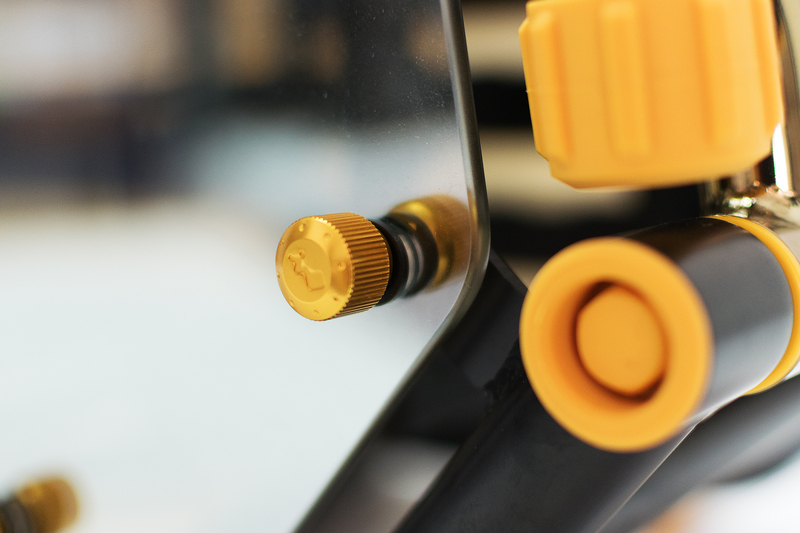 Both brackets come with pre-installed thumbscrews for easy removal and installation. The I/O panel houses a microphone jack, headphone jack, USB 3.1 Type-C port, three USB 3.0 ports, power LED, hard drive activity LED and power button. 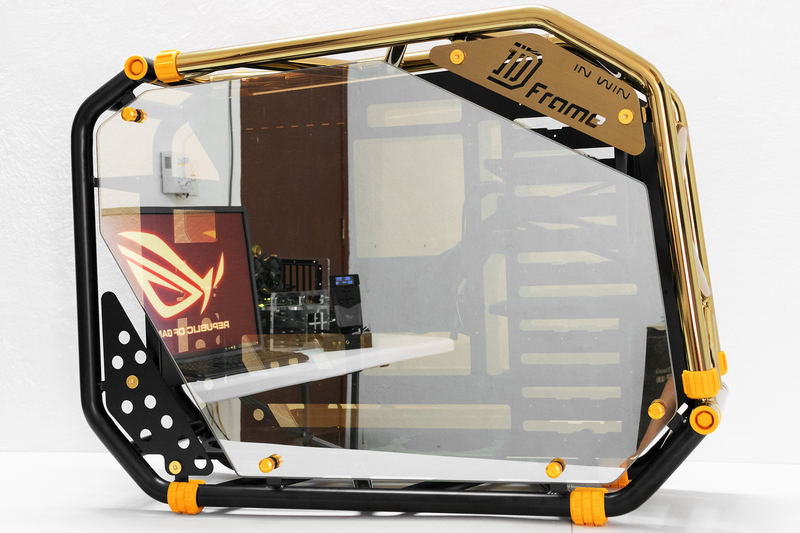 The D-Frame 2.0 provides flexible cooling options. 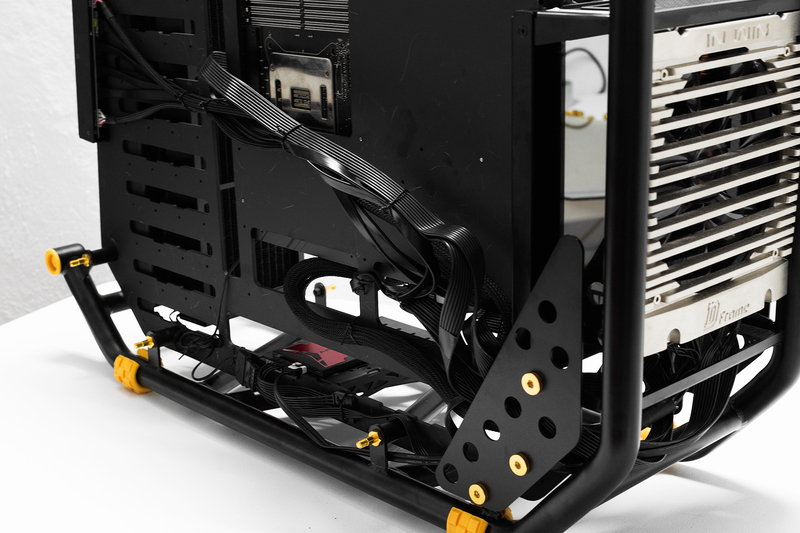 The fans and radiators can be mounted in the front or at the bottom of the case. In Win includes their exclusive Signature Series SIII-1065W power supply with the D-Frame 2.0 so clearance won't be an issue here. Photos probably don't do the D-Frame 2.0 justice. Here's a video, for your delight. Last edited by Chiinnoo; 08-29-2016, 11:29 PM. The system is powered by Intel's monster 10-core i7-6950X clocked at 3GHz with a boost clock up to 3.5GHz. Although it's overkill for gaming alone, the extra cores will come in handy when working with more demanding tasks. 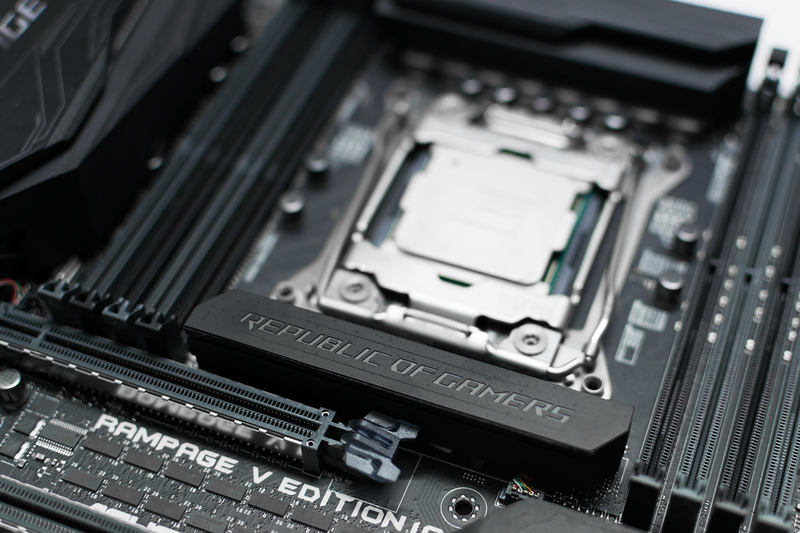 The Core i7-6950X is paired with the latest Rampage V Edition 10 motherboard for various reasons. 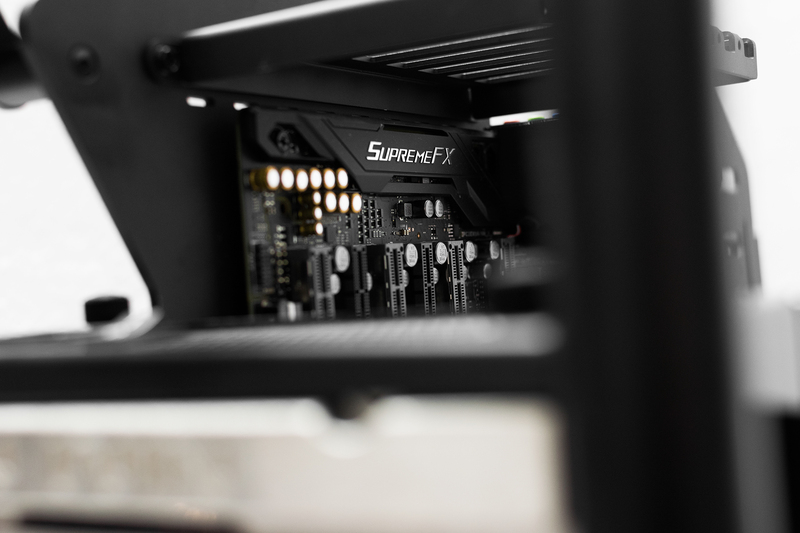 For starters, the gaming and overclocking features make the Rampage V Edition 10 the perfect motherboard for this build. There are also many next-generation connectivity options like NVMe U.2, WiFi 802.11ac, and USB 3.1 Type C to futureproof. But the motherboard's breathtaking aesthetics is the icing on the cake. 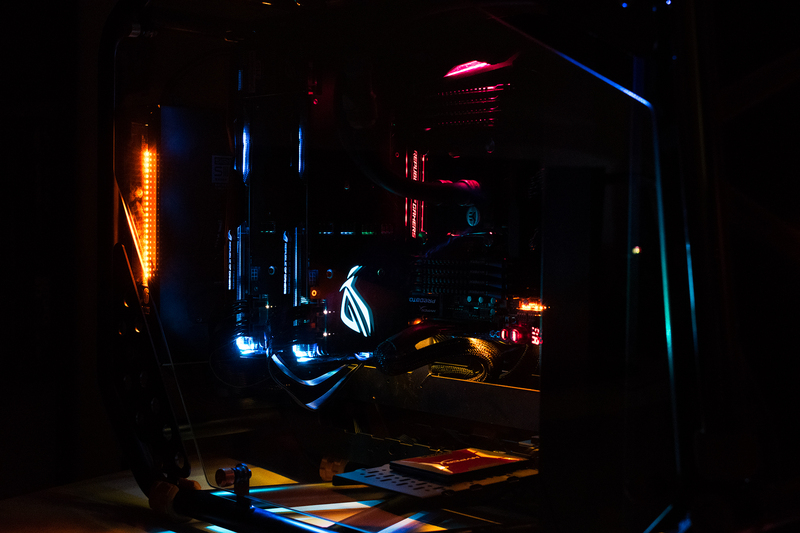 The Rampage V Edition 10 looks freaking amazing with the black theme and Aura RGB lighting. 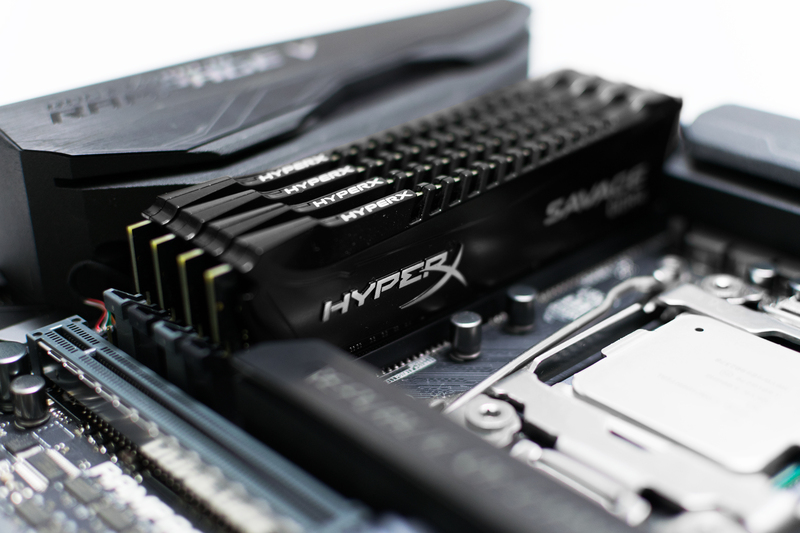 The HyperX Savage 128GB memory kit is a big investment but definately worth it. It ensures that the system won't run out of memory during heavy workloads. With 128GB of memory, one can say goodbye to the swap file forever and recover those precious gigabytes of space from the SSD. 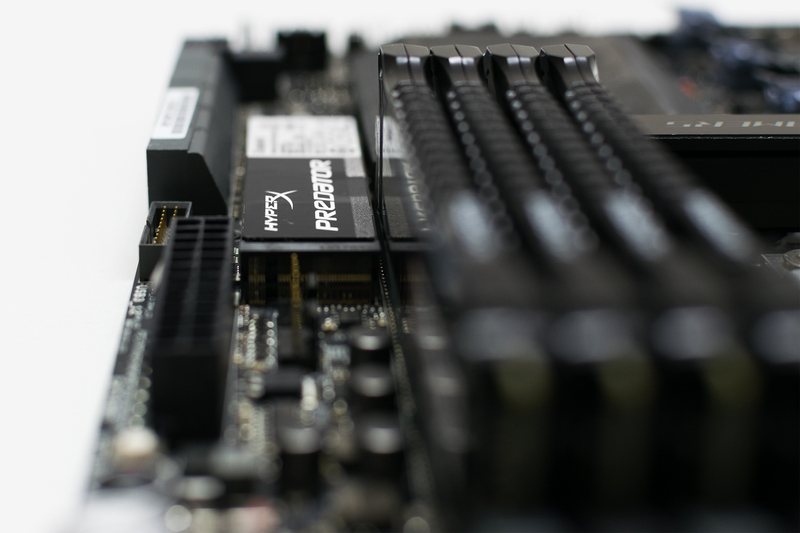 The HyperX Predator 480GB is a good capacity and fast PCIe SSD. Lightning speed loading times in games is what awaits the user. The SIII-1065W is a 1065W power supply with a 92% efficiency rating. It's more than capable to power the this build in particular. 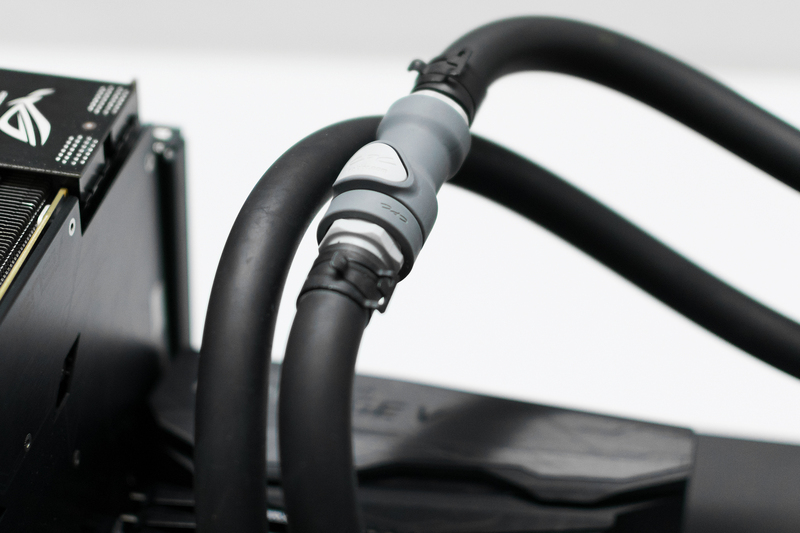 Being a fully modular design, cable management just got easier. SupremeFX is one of the best onboard audio solution on the market right now. It's been updated on the Rampage V Edition 10 so audio should sound even better. 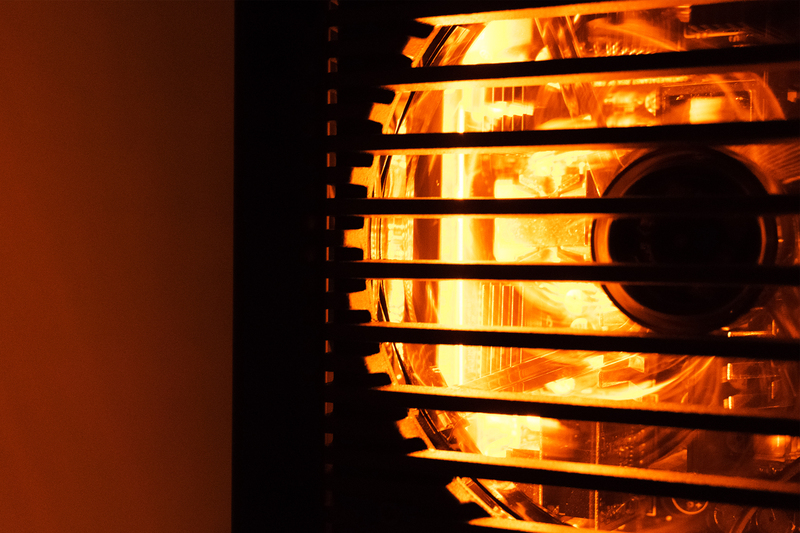 he Core i7-6950X can pump out a lot of heat under demanding workloads. 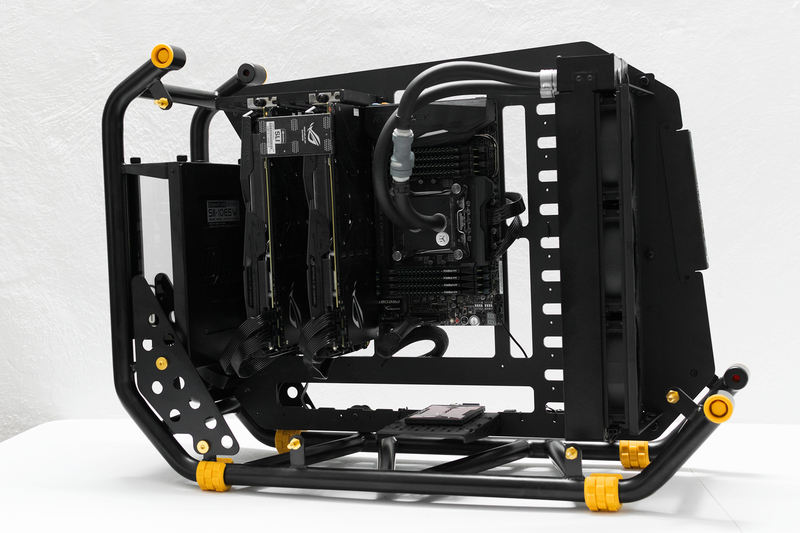 The EKWB Predator 360 was chosen to cool the 10 core monster. 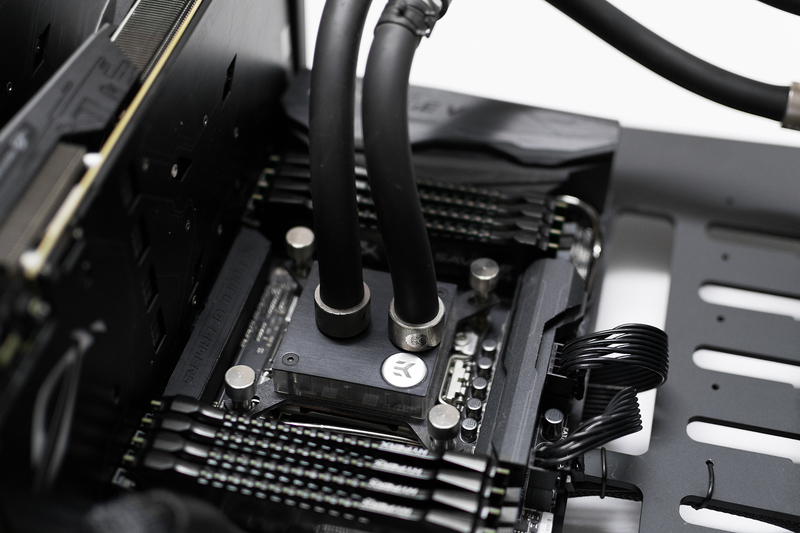 The integrated Quick Disconnects (QDC) on the EKWB Predator 360 leaves the door open for liquid cooling the GPUs in a not so distant future. 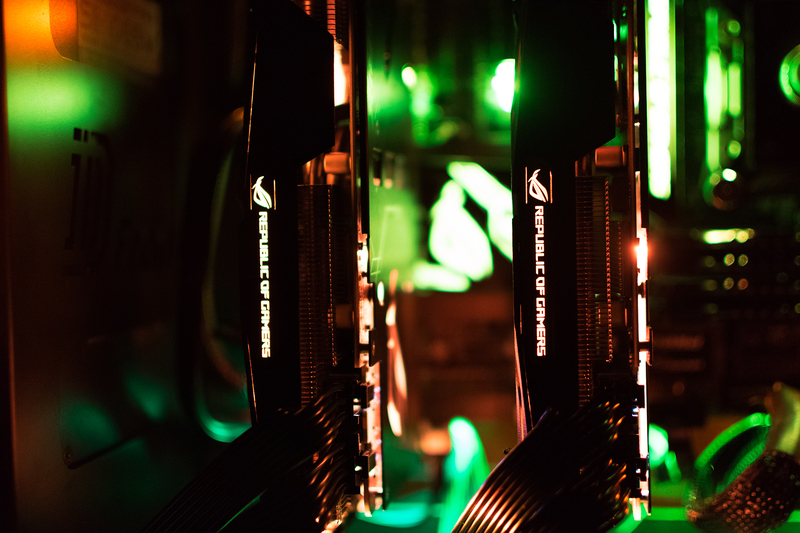 The twin Strix GTX 1080s in SLI are responsible for pumping those FPS at 4K resolution. Unfortunately the NVIDIA SLI HB Bridge was out of stock at the moment of purchase. 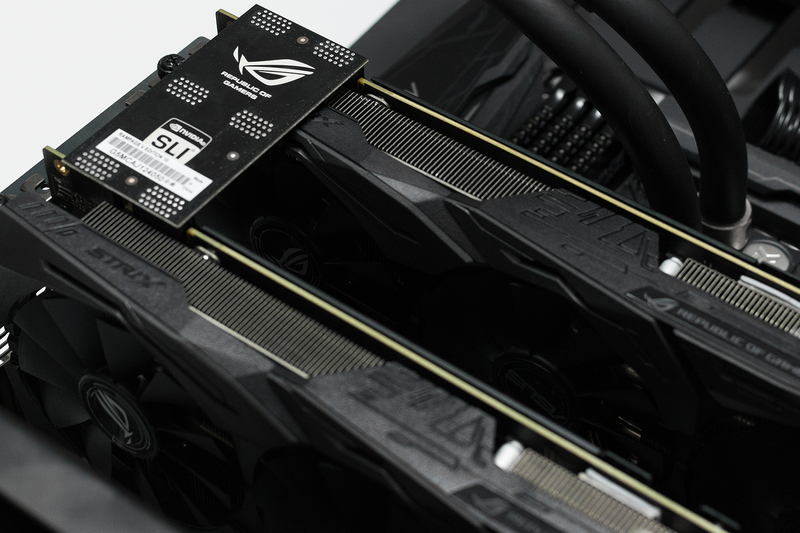 But ASUS wil be releasing their new HB SLI bridges soon so the normal SLI bridge will suffice in the meantime. Going to avoid platter storage devices in this build completely. Huge files from work and less frequently played games are stored on the speedy HyperX Savage 480GB instead. 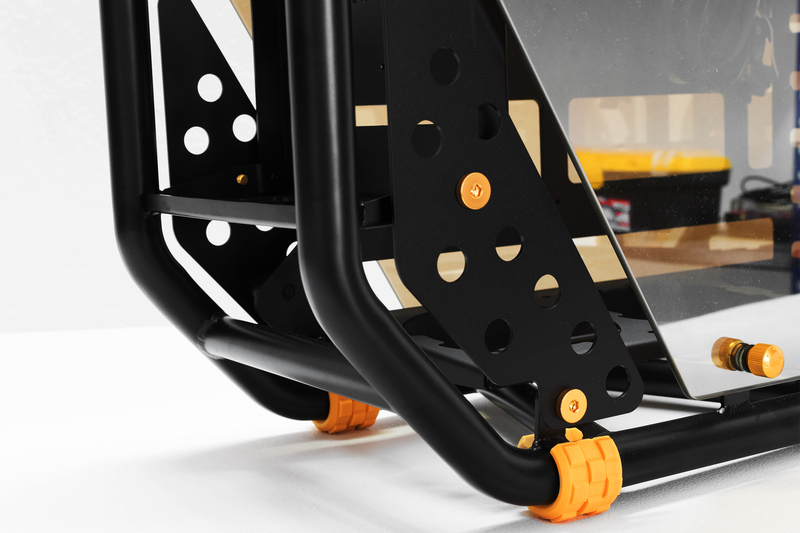 Cable management on the D-Frame 2.0 isn't impossible but it does take a bit of patience. There is enough clearance space at the back to route all the cables comfortably. It's a shame that In Win didn't put some cable tie locations at the back of the motherboard tray to secure cables easier. Building inside the D-Frame 2.0 was a pleasant experience. The excitement level to finish this dream build was very high. Even after stuffing all the components inside the D-Frame 2.0, there is still leftover room for future upgrades which is great. 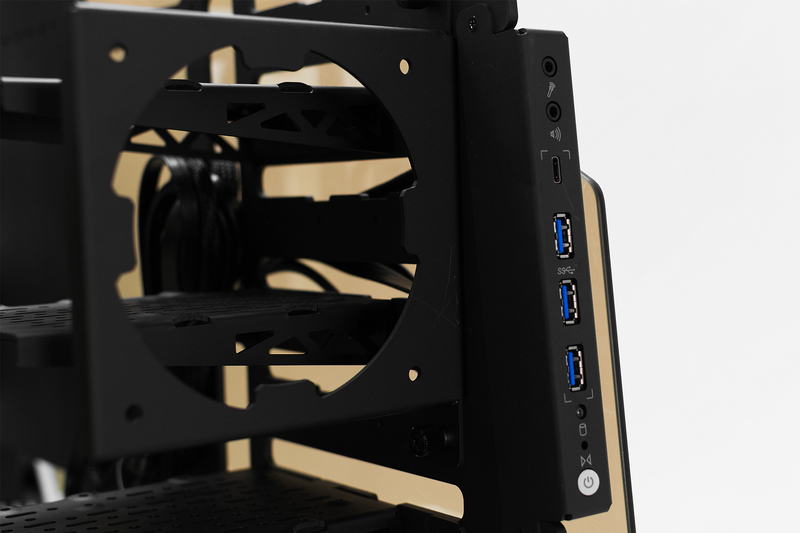 The case will have no problems housing a bigger motherboard, more graphics cards or a custom watercooling setup. Time to turn off the lights and see how this baby looks in the dark. Last edited by Chiinnoo; 08-31-2016, 02:48 AM. Time to turn off the lights and see how this baby looks in the dark. If the Rampage V Edition 10 looked amazing in the daylight, it's even more spectacular in the dark. 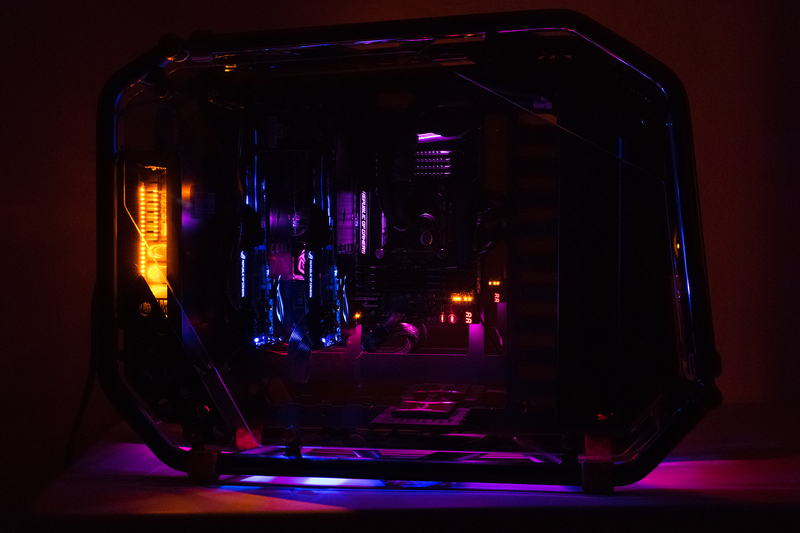 The Aura RGB lighting system on the motherboard is capable of lighting up the entire case. The dazzling light show is visible thanks to the tempered glass side panel from the D-Frame 2.0. The Rampage V Edition 10 and the D-Frame 2.0 is definately a match made in heaven. 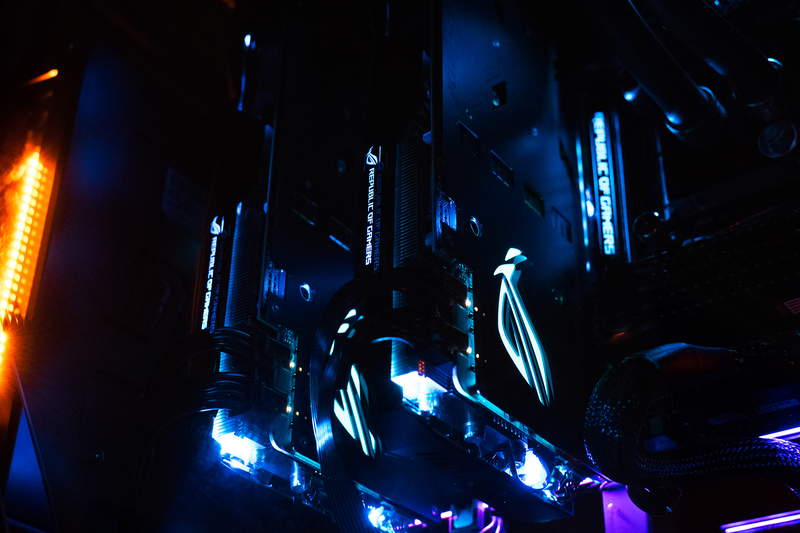 Having the entire motherboard glowing the same color is so outdated. Kudos to ASUS for making it possible to apply a different color for each area of the Rampage V Edition 10. Playing with the different colors and lighting modes was definately fun. 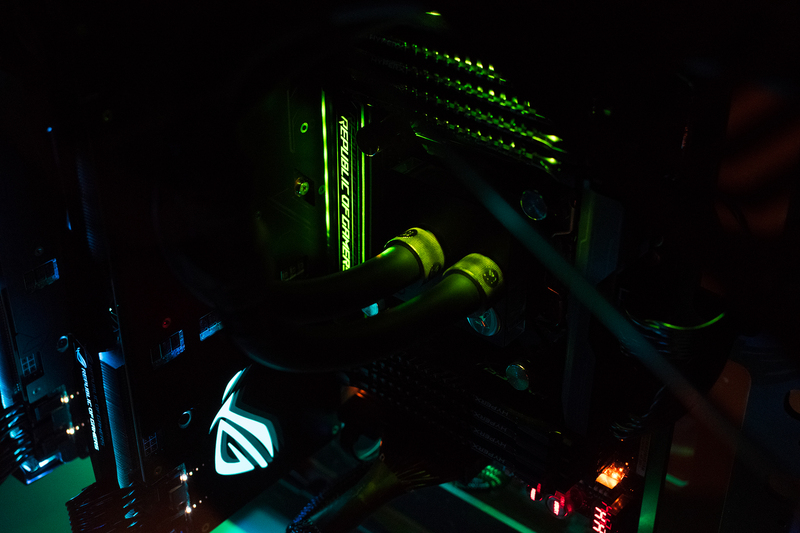 The Strix GTX 1080s also come with Aura RGB lighting making them the perfect companions for the Rampage V Edition 10. The Aura program is able to synchronize the effects across both graphics and the motherboard which is a very cool feature. 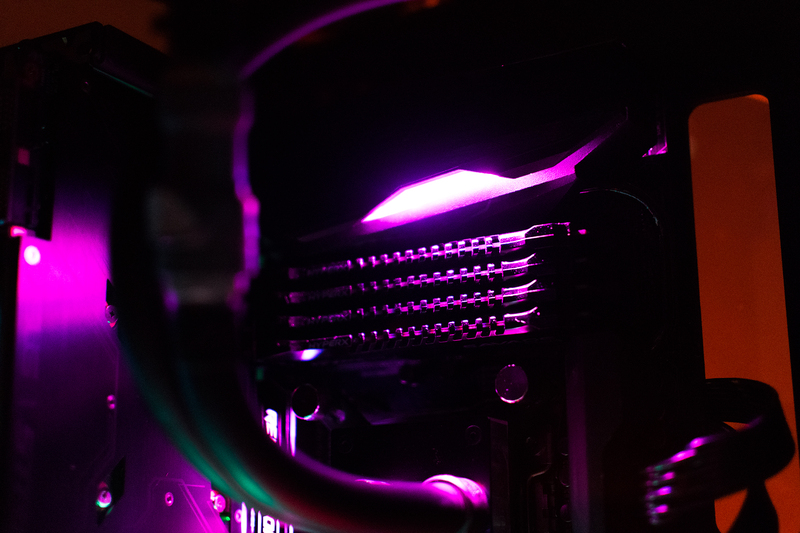 Since the motherboard is installed in a 90-degree orientation, the Strix GTX 1080s are mounted vertically allowing you to contemplate the true beauty of the Aura RGB lighting that one wouldn't be able to see in a normal case. It's only missing the new ROG HB SLI bridge and this build will be complete! The SIII-1065W power supply is impressive. The body is made from aluminium and SECC. The side windows are made from tempered glass. 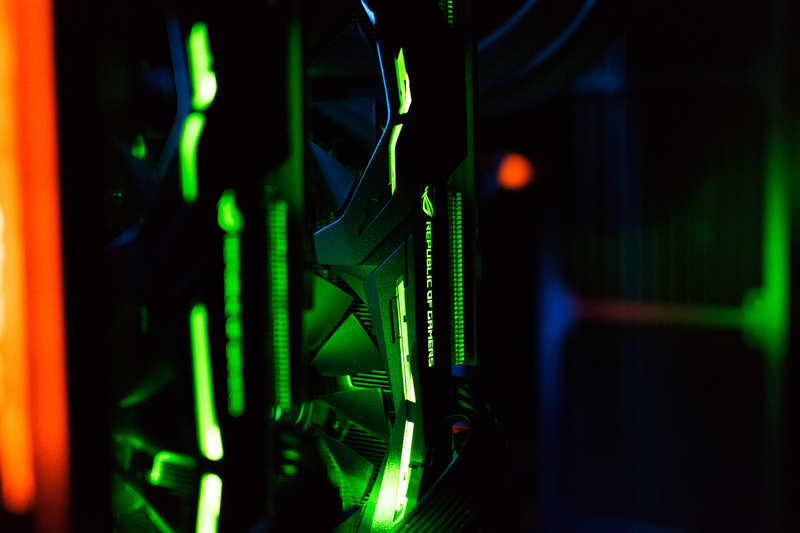 Who would have thought that a power supply can look this good. 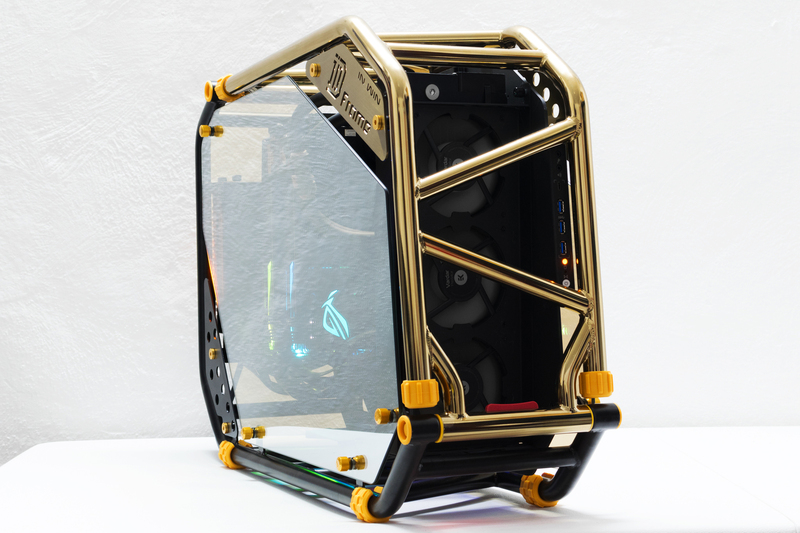 The power supply also has a gold LED lighting to complement the case's black and gold theme. Time-lapse video of the entire build process. Last edited by Chiinnoo; 08-31-2016, 02:49 AM. So many reservations. But, nice video! Really captured the D-Frame 2.0 well. Looking forward to seeing the build. I believe in the hype! I'm not used to working with a 5 image per post limit. Last edited by Chiinnoo; 08-24-2016, 09:31 PM. It's easier to use Imgur. Yes, it does. Thanks for the recommendation. Wow, this PC is really amazing. 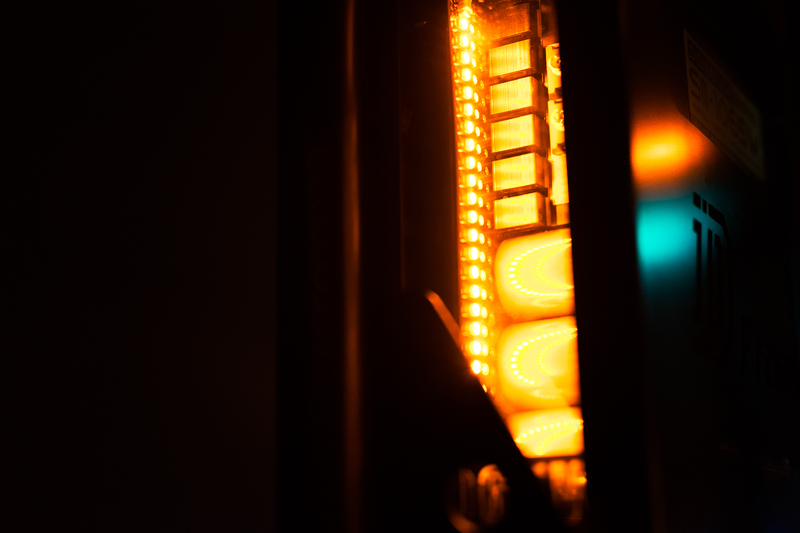 The lights and the way of presentation. Me and my brother planned to shop online games and for that we have upgrade our PC with win 10 OS, 1tb HDD, 4 GB Radeon, 8gb RAM. Is this a good configuration for playing high resolution games? Any suggestions would be appreciated.